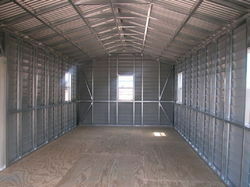 We are one of the leading exporter, supplier, trader & service provider of Storage Shed. 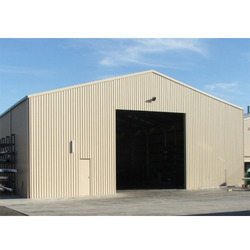 Our products range includes Metal Roofing System, Self Supported Roof and many more. 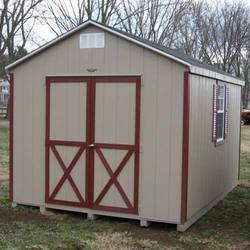 Our clients can purchase from us an exclusive gamut of Portable Storage Shed. This is made available in various designs and sizes to suit variegated demands of clients. Moreover, this is aesthetically designed by our affluent craftsmen with perfection using quality raw material. In addition, this is designed by taking into account contemporary trend and the variegated preferences of our huge client base. 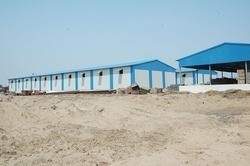 In order to meet the various requirements of our esteemed clients, our enterprise is dedicated in providing Godown Storage Shed. We have designed our range using supreme quality material and sophisticated tools. The range offered by us is stringently checked on various set parameters by our quality inspectors that have gained rich industry experience in this domain. Clients can purchase the entire gamut in various specifications. 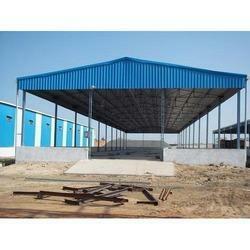 Clients can avail from us an extensive array of Prefabricated Storage Shed. This is well-known in the market for its traditional and contemporary designs, smooth finish and heat resistance. We provide this range in various sizes, shapes and finishes. 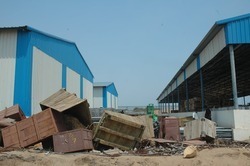 Additionally, offered range is commonly used for storing item, thus find usage in domestic and commercial sectors. Clients can avail the offered range from us at market leading prices.